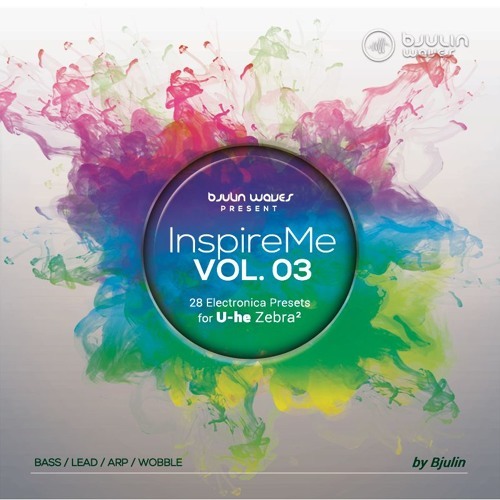 With InspireMe Vol. 03 you´ll get a bunch of sweet leads, deep basses, trancy arps and heavy wobbles. There are 28 sounds in 4 categories: Arps, Bass, Leads, and Wobbles. ModWheel is assigned for every preset. Also the Pitchwheel controls the wobblingspeed. So, get inspired again in any electronic related genre.